The 1990 Institute’s mission is to broaden understanding and build trust between the people of the United States and China through education, philanthropy and collaboration. 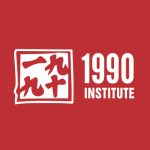 The 1990 Institute is an America-China Exchange focused on developing education and exchange programs to broaden understanding and build trust between Americans and Chinese. The Institute began as a think tank researching major economic and social issues related to China. Over the years, the Institute expanded its mission and developed education and philanthropic programs in China in the areas of girls’ education, cross-cultural exchanges, and microfinance business education. The 1990 Institute runs education and philanthropic programs in both China and the United States: America-China Exchange (ACE), Children’s Art and Environment Projects, Microfinance Program, Spring Bud Girls’ Education, and a Teachers Workshop.